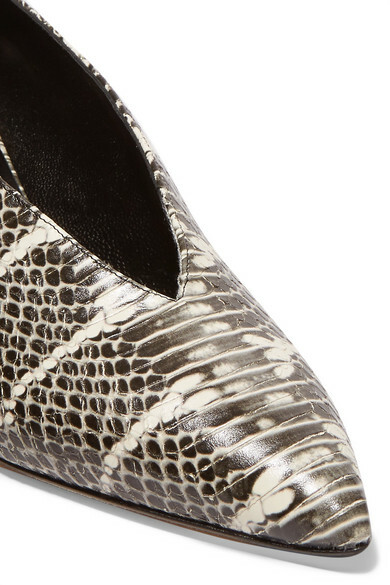 Kitten heels and animal prints are two of the season's hottest trends, and they're even better together. 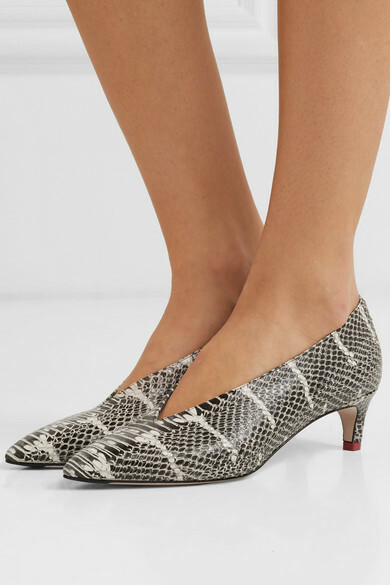 aeydē's 'Camilla' pumps are made from snake-effect leather and have a sleek pointed toe. 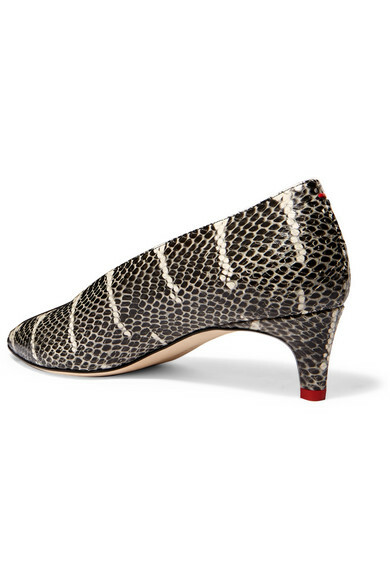 The red stiletto cap is a brand signature that matches the hand-sewn stitch at the back. 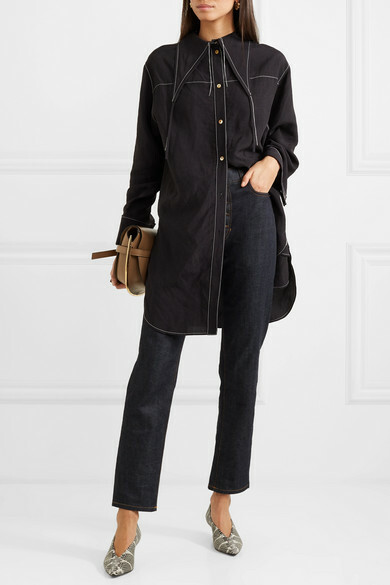 Shown here with: REJINA PYO Tunic, GRLFRND Jeans, Loewe Shoulder bag, Jennifer Fisher Ring, Jennifer Fisher Ring.